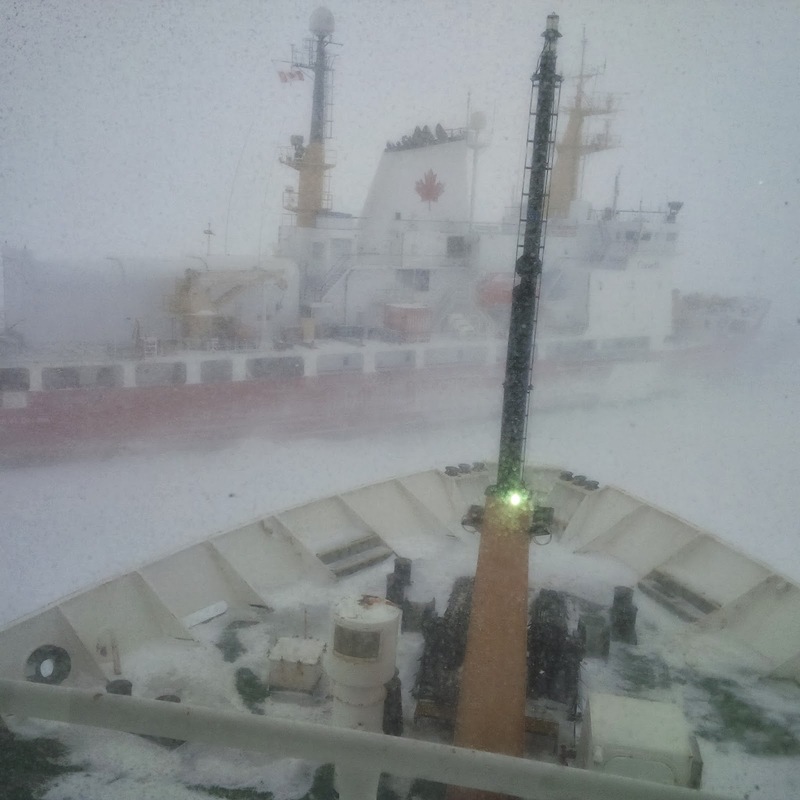 The Labrador ferry Sir Robert Bond, spent last night Feb 16, 2014 stuck in heavy ice, and in poor visibility. The Bond departed Blanc Sablon 0715hrs Feb 16, 2014, but didn't get very far, the icebreaker Henry Larsen arrived and at one point she got stuck. The Larsen is now escorting the Bond to Corner Brook where they are due early this evening, where she will do a quick turnaround and depart again for Blanc Sablon.